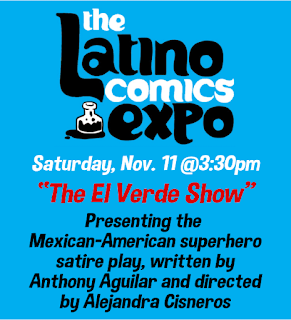 The Latino Comics Expo (LCX) hits Long Beach this weekend, November 11-12. It's the country's first comics convention dedicated to showcasing Latino creators and Latino-themed works. Co-Founded by Ricardo Padilla and Javier Hernandez in 2011 as a means to gather a variety of cartoonists, writers, illustrators and other creative individuals of Latino descent, or works exploring various aspects of Latino culture.The LCX provides a showcase for Latino/a creators and others to share their work with the public. 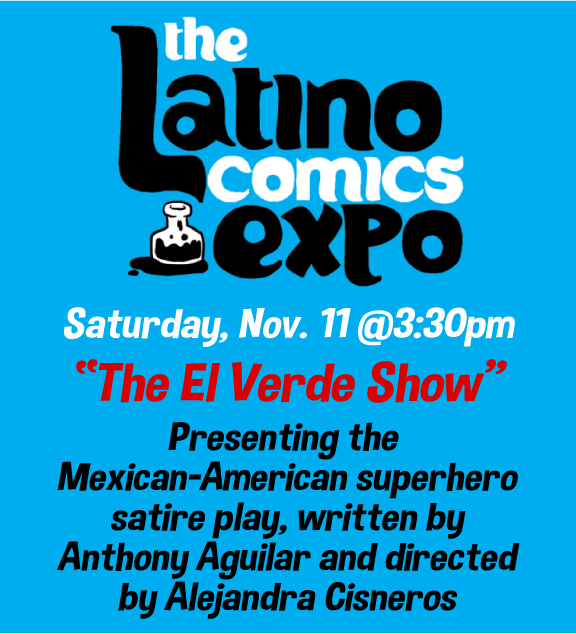 Through comic books, web comics, graphic novels and other visual mediums, the Expo shares the Latino American experience through the diversity of the artists and their works through this most American of art forms: Comics and Animation. The Latino Comics Expo believes in comics serving as a "Bridge to Literacy" and promoting the Museum experience to young people and under-served communities. 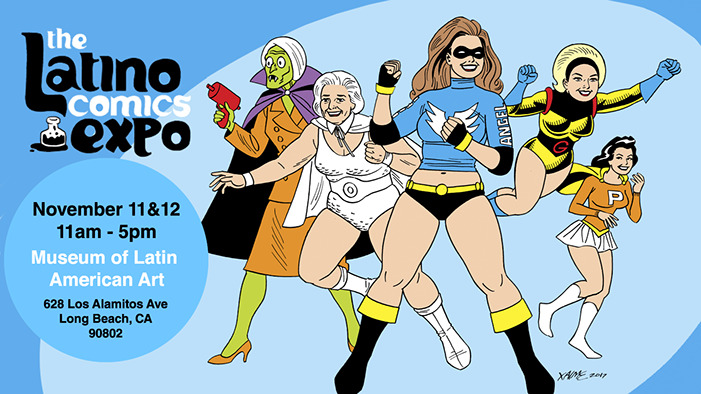 After taking a year off from appearing in southern California, the Expo returns to the Museum of Latin American Art with an entire weekend of exhibitors, panels, artists, writers, and more. The intimate setting at the museum is the perfect venue to get a hands-on experience with Latino creatives. 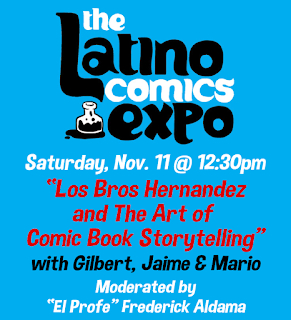 This year's headliners, the Hernandez Brothers, creators of the seminal Love & Rockets books, will be on hand to discuss the art of storytelling. Also to appear include Cathy Camper, writer of the YA series Lowriders From Outer Space; Vicko Alvarez, whose comic Rosita Gets Scared focuses on an undocumented girl facing deportation; and political cartoonist Lalo Alcaraz, a consultant on Pixar's upcoming film Coco. Long Beach mayor and fellow comic book fan Robert Garcia will be declaring "Latin Comics Expo Day" at the Expo on Sunday.